ARTisSpectrum is such a beautiful art magazine on a global scale. 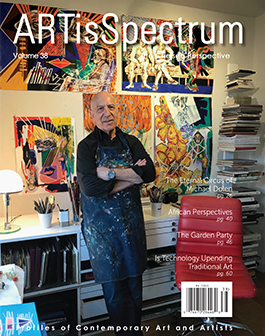 It must be the only art magazine dedicated to such a wide range of international art scenes and artists. ARTisSpectrum confirms the notion “art is universal” and shows the power that art possesses. A robust, well-rounded issue as usual. I was pleased to see some of my fellow artists’ work in private residences! !